In the world of King of Fighters that title is everything. Like the characters in the game who wish to claim that title, The King of Fighters XIV also has lofty goals. With Street Fighter V fumbling the ball and Tekken 7 not due out until 2017 the spot for king of the mainstream fighters is open. Unfortunately KoF XIV can’t quite reach it. With eSports being bigger than ever “accessibility” has been a hot topic with recent entries in fighting games. KoF XIV features a tutorial mode which is fairly by the numbers, where the game teaches you the basics as Kyo. From running forward, crouching, simple attack inputs, and even to the many, many cancels the game expects you to do at higher level play. 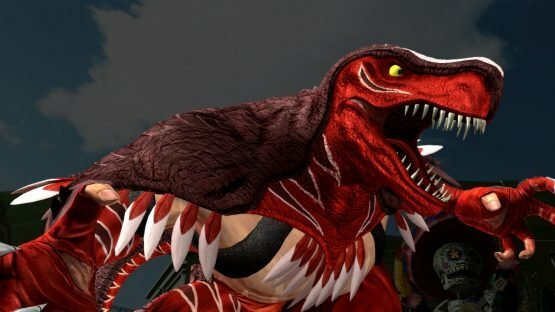 The King of Fighters XIV tutorial gives you more of an index of what you can do than Street Fighter V gives you, but with the complexity of King of Fighters XIV it doesn’t really give you much to go on. Yes, I understand these are how you do cancels, but the tutorial didn’t do a great job at telling me why I would want to do them. It’s a misunderstanding of what “newbies” really need to get going, along with “rush”. The big accessibility addition to The King of Fighters XIV is the “rush” system. Hit the Light Punch repeatedly and it will automatically make your hits a combo. If you have enough special metre then it will end the combo with a special move. The game lets you know you should use this until you get more comfortable with the game. The idea of the Rush is all well and good, but ultimately it becomes more of a crutch than a tool to help you learn and get better. Why bother experimenting and wrestling with the mechanics when just hitting Light Punch a bunch can seem like the optimal solution to a new player. Rush just feels like it gets in the way of the learning experience, putting a cap on it rather than pushing you ever slightly forward. Besides this fans of The King of Fighters will already mostly know what to expect. In fact, the game plays nearly identically to The King of Fighters ’98. Iori, for instance, controls almost exactly the same here as he did in ’98. All of The King of Fighters‘ unique systems are present in XIV. Evasions are still great, creating a style of duck and weave that no other fighter can truly replicate. It’s a super simple mechanic, each character can slide forward or back, even past the opponent, with some invincibility frames. 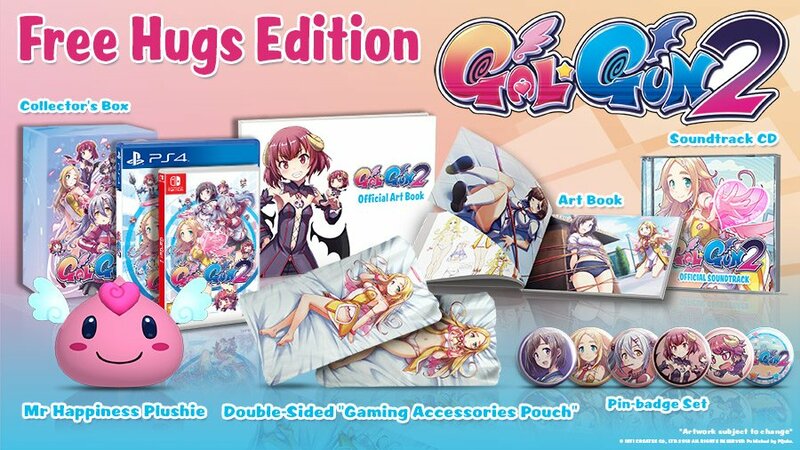 This gives the game a layer over the top of simply guarding and jumping, and give the game a pacier feel than some of its competitors — it’s truly the feather in the cap of the series. You also have to give the game props for its jumping system, with 3 distinct tiers of jump giving you some pretty solid control over just how risky you want your jumps to be. XIV is slicker than some of the other earlier entries in the series, but not by an awful much. Most fights in the game are 3 on 3. The game’s impressive roster of 50 characters are already split into teams, but you can mix and match as you please, even in the game’s story mode. There’s a hefty amount of new characters in that roster too, somewhere around 15, so it’s not just a case of just grabbing all the previous characters. Some of the characters feel like they’ve had more thought put into them than others, and even on the design side of things it feels like some of them have been phoned in. However, some of the new characters bring a lot to the series and feel genuinely new, special shout outs from me go to Shun’Ei, King of Dinosaurs, and Kukri. If anything it’s some of the choice of returning characters that is disappointing. Why have Sie Kensou but shaft Lucky Glauber, who literally fights with a basketball? The Story Mode is essentially just an Arcade mode, sprinkled with a handful of cutscenes. Your choice of characters don’t really matter beyond pre-match dialogue when certain characters meet up, providing hints of their shared histories. 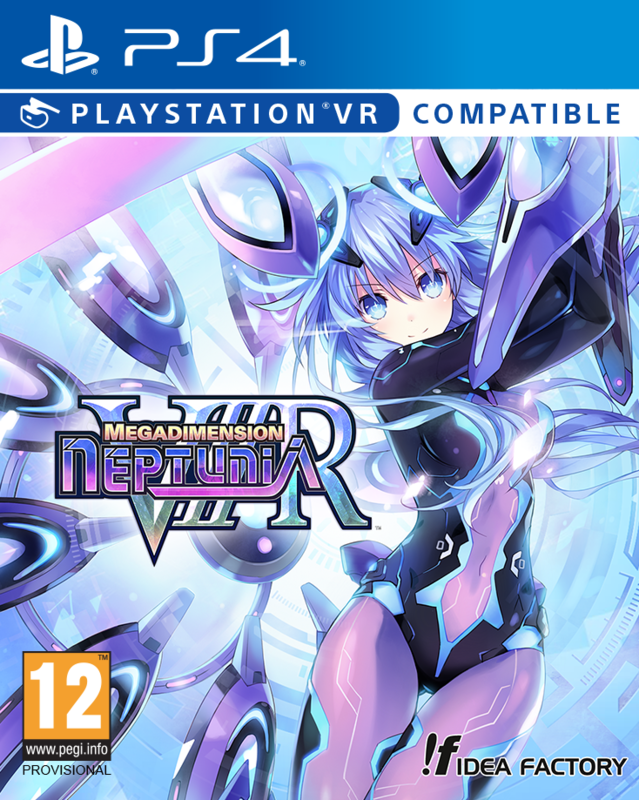 The Story Mode isn’t particularly challenging beyond the Final Boss, though thankfully it’s not as hard as some of the other bosses in the series. The game does the irritating thing of even awarding mediocre play with S ranks. I’d rather know I’m not doing great than have the game pat me on the head assuring me I’m just fine. Graphically the game is fine. 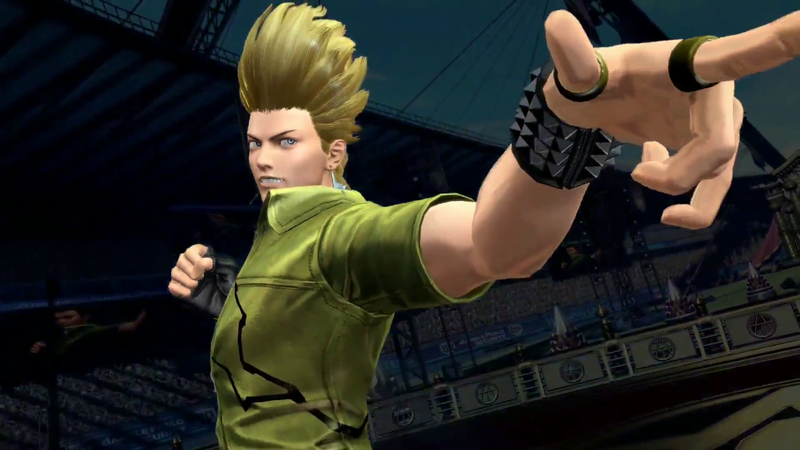 The King of Fighters XIV definitely looks better in its finished build than it did in some of the early footage, but it still doesn’t look great. “Just fine” is about the best you can say. When a version of the game from 1998 is more visually engaging, you know something might be wrong. Was it a mistake to bring The King of Fighters into the third dimension in this instalment of the series? Well, maybe yes and no. The leap has lost some of the vibrancy of the original games. Perhaps it was just a mistake to bring it into the third dimension in such a bland way. At least when Street Fighter 4 came out it was doing something stylistically. And don’t forget that the gorgeous Guilty Gear Xrd Revelator is actually 3D. What they’ve done with The King of Fighters XIV just makes it look like Dead or Alive or Tekken, and not in a good way. 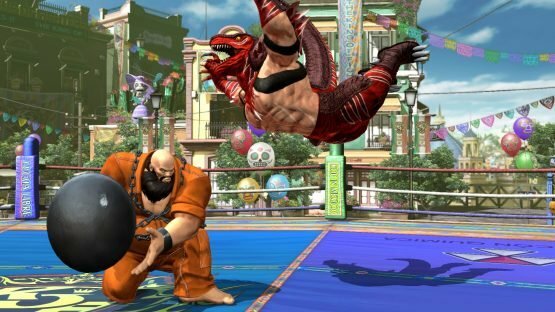 Whatever the reason The King of Fighters XIV feels like it lacks some of the magic of the earlier games. 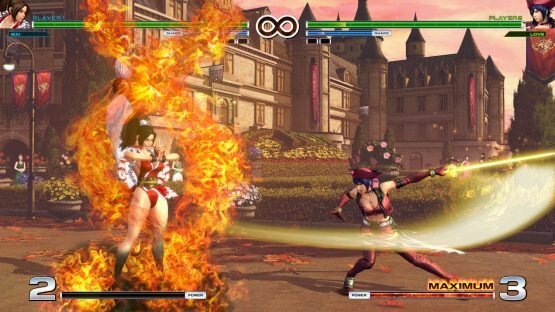 It’s a game that really wants to be the “king of fighters” itself, but has forgotten that means having some fun along the way. Don’t get us wrong The King of Fighters XIV doesn’t do anything too bad, except maybe the clunky accessibility features. 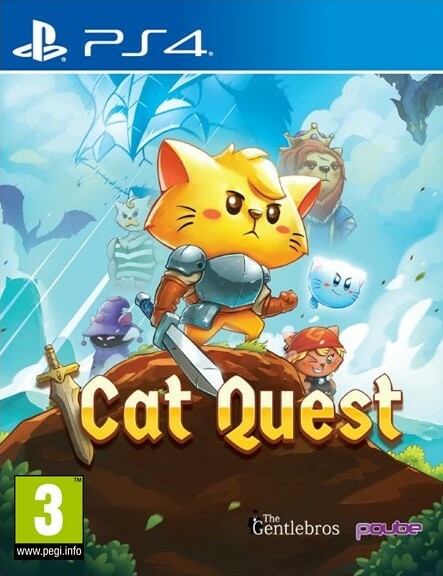 It’s actually a pretty solid and good game. Mechanically The King of Fighters fans should be satiated, even though it doesn’t bring too much new to the table. This should have been the pinnacle of the series, it needed to be the pinnacle of the series — but in a way it’s just a reminder of how great The King of Fighters once was. I’m more likely to boot up The King of Fighters ’98 Ultimate Edition than wrangle too much with this. We reviewed the bulk of the game before release when the online wasn’t very active. After checking it out after launch the net-play seemed to work great, and we had no trouble matching up and scrapping online. The King of Fighters XIV releases on PlayStation 4 on 26th August 2016.